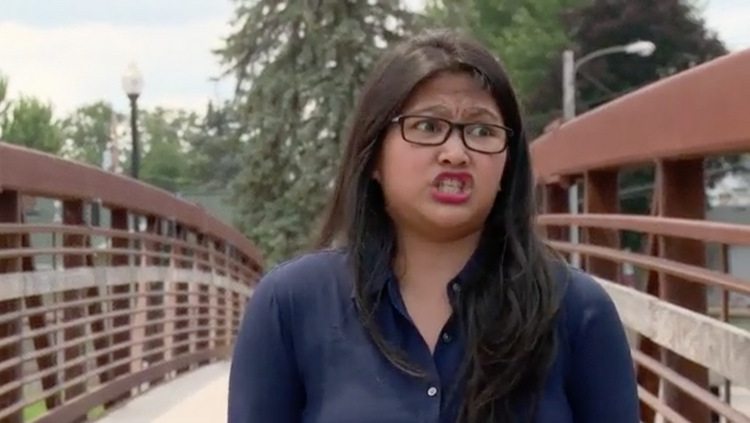 In Wisconsin, Leida Margaretha finally meets her match when Eric Rosenbrook’s ex-wife, Tania, confronts her about her monstrous behavior. She’s heard ALL about Leida’s treatment of Tasha Rosenbrook, Leida’s demands that Eric give up his parental rights by stopping child support, and Leida’s general toxicity. Please, TLC gods, let Leida finally be given her comeuppance! Ashley Martson and Jay Smith head to Vegas for their elopement, but not before Ashley’s friend, Natalie, stops by to grab more camera time. Um, I mean: Warn her friend about Jay’s cheating ways. Tune in to TLC tonight at 7 Central / 8 Eastern for an all-new 90 Day Fiance followed by special guests on 90 Day Live! And join us in the comments section below to snark on all of the action as it unfolds. TELL US: WILL TANIA READ LEIDA THE RIOT ACT? WILL STEVEN ACTUALLY TAKE RICHIE AWAY FROM OLGA? WHICH 90 DAY FIANCE COUPLE ARE YOU ROOTING FOR?